On Saturday, December 20, at 22:37 local time the inhabitants of southwestern and central Morocco became witnesses of an intensive long lasting fireball. The bolide that was seen across the country by hundreds, if not thousands, descended in an almost horizontal trajectory from the west coast towards the High Atlas. 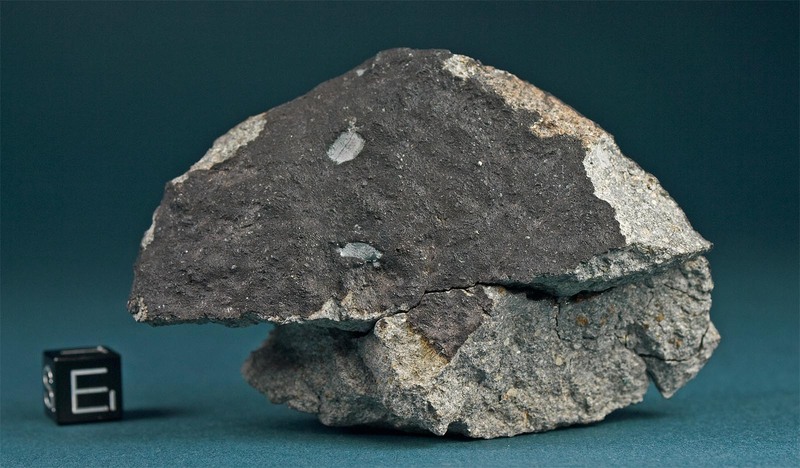 Two weeks later the first meteorites were found. There are divergent reports on the exact bearing of the trajectory. According to A. Alhyane the bolide was “traveling from southwest to the northeast” towards Tamdaght (or Tamdakht), north of Quarzazate. Several eye witnesses north of the trajectory in the area of Ait Ourir stated that the fireball could be seen towards the south between the two villages of Ait Ourir and Tahnaout. There it disappeared between the mountains. If that observation is correct this means that the bolide must have already travelled at a very low altitude at that time. There is a gap between the Jebel Bou Ouriol (3578 meters) and the Jebel Tistouit (3224 meters) through which the trajectory could be seen by an observer in the Ait Ourir area. When the bolide diappeared behind the Jebel Tistouit, it must have appeared to any observer in the two villages that the fireball indeed collided with a mountain. The picture given by the eyewitnesses in the “Al Masah” article of December 28 confirms this interpretation. 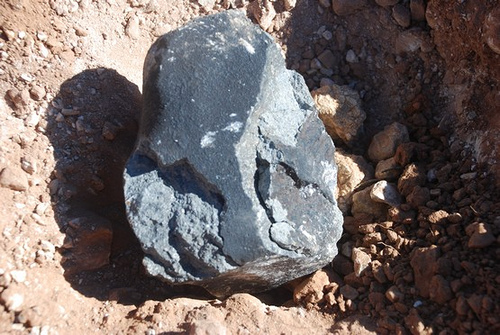 After disappearing behind the Jebel Tistouit the trajectory of the fireball continued for another ten kilometers before meteorites dropped 10-15km northeast of Tamdakht. The fireball sightings and the seismic phenomena were reported to the Meteorite Central Mailing list by A. Alhyane one week after the event on December 27, 2008. 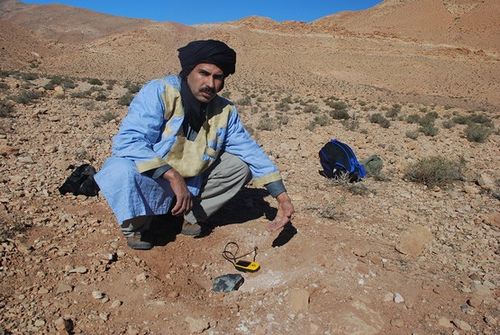 The following day the Moroccan newspaper “Al Masah” (The Evening) published an article on the incident which was later distributed by Léa & Philippe Thomas (www.meteoritica.com). 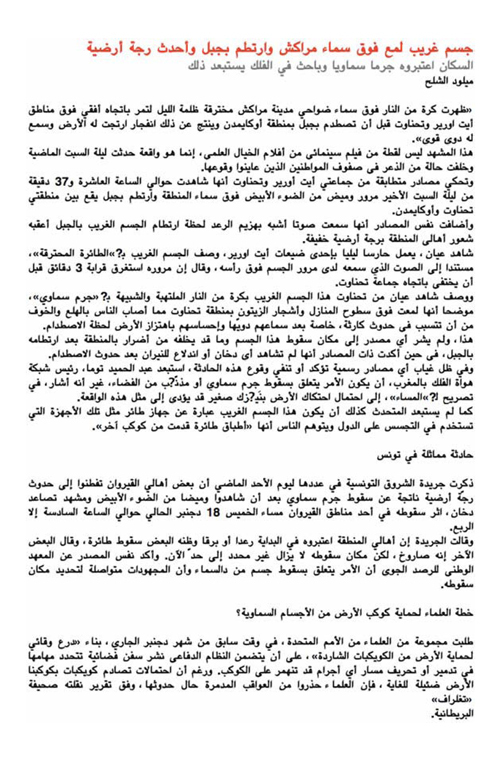 The following text is a translation of the newspaper article from Arab to German and subsequently into English, the native Arab speaker may forgive eventual inaccuratenesses. An alien object penetrated the skies over Marrakech, collided with a mountain and caused the earth to tremble. Residents of the area are convinced a cosmic body fell to earth but an amateur astronomer rejects this. In the vicinity of Marrakech a ball of fire was seen crossing the night sky over the communities of Ait Ourir and Tahnaout in a horizontal trajectory before the body subsequently collided with a mountain. The event caused an explosion and seismic shock waves which shook the ground. This scenery was not part of a science fiction film, in fact this happened in reality last Saturday night. The inhabitants who witnessed the spectacle were fearing for their lives. According to consistent reports, both from Ait Ourir and Tahnaout, at 23:37 [local time] the eye witnesses saw a white light moving through the skies which finally hit a mountain between the two communities of Tahnaout and Ukaimiden. According to the same sources, at the moment the object fell on the mountain a sound similar to thunder was heard and the ground was felt slightly shaking. An eye witness on night duty in Ait Ourir describes the alien object as a “crashing airplane” and adds that he heard its sound when the object passed over his head. This source also said that the event lasted three minutes until the body descended beyond his sight towards Tahnaout. An eye witness from Tahnaout described the body as a fire breathing ball similar to a meteorite. According to this person, roofs of houses and olive trees were illuminated in the area of Tahnaout which caused terror and fear among the inhabitants who feared a catastrophe coming upon them. This was particularly true as they heard the explosions and as they felt the earth shaking in the moment of the impact. No source or eye witness was able to name exactly where the object had crashed, nor if the object crashing at the mountain poses a threat to area. No fire or smoke was seen after the crash and there is no official source confirming or denying the incident. The president of the amateur astronomers of Morocco, Abdelhamid Touma, rejected the idea that part of on asteroid fell on earth. In his conversation with “Al Masah” (The Evening”) he explained that instead friction of a meteroid entering the earth’s atmosphere was responsible for the incident. He also rejects the idea that the event was caused by a foreign spy drone, an unmanned recon airplane crashing or an alien UFO from another planet.